independent of how long the machine has not been used. 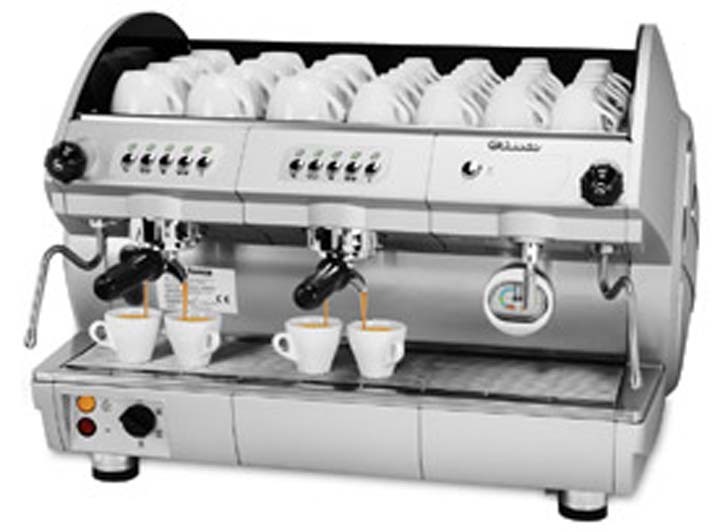 • Double pre-brewing system: mechanical only, or mechanical and electronic. • Top boiler capacity- one of the highest available. • Main switch with 3 positions: full power, reduce power and energy saving mode for electric heating. • Te-on-coated volumetric meter and cold nozzle and boiler with T.E.A. * treatment.